The A3C Festival & Conference and iHipHop Distribution present the highly anticipated, eighth installment in their annual compilation series. A3C Volume 8 celebrates the 14th anniversary of the Festival and the eighth year that the Festival & Conference and iHipHop Distribution have collaborated to bring listeners this renowned series. The compilation series has introduced numerous artists, to fans of the genre, who have established themselves as staples in the hip-hop marketplace. Past compilation artists include G-Eazy, Curren$y, A$AP Rocky, Yung Bans, Action Bronson, Vince Staples, Kodie Shane, Buddy, Smoke DZA, Rapsody,Dave East, Freddie Gibbs, Lucki, Thouxanbanfauni, Trademark Da Skydiver, Mick Jenkins, Sir Michael Rocks, Robb Bank$, and Jimmy Wopo, among others. This year’s compilation continues to spotlight the genre’s foremost emerging artists with 52 tracks from the newest generation of hip-hop’s torchbearers. Artists appearing on A3C Volume 8 include $tupid Young, Bali Baby, CHXPO, Otown Marco, Yung Simmie, AD, Big Baby Scumbag, J.K. The Reaper, Trapo, CRASH RARRI, Chris King, Rizzoo Rizzoo, TheGoodPerry, Lamb$, Femdot, $NOT, Canon, Jimmy Rocket, WAV, DXDDY MXCK, Bill $aber, Mo Dope, IDKHIM, Lamont Holt, PNTHN, Larry League, Tommy Swisher, Nate Dae, and many more. The album premiered at press today via HipHopDX. A track list as well as more information on the compilation and each artist appearing on A3C Volume 8 can be found below. Columbus, OH native CRASH RARRI has quickly amassed a loyal following thanks to his eclectic style. Borrowing influence from Chicago’s drill scene, Atlanta’s omnipresent trap wave, and the raw “SoundCloud rap” style, CRASH RARRI deftly distills these subgenres into energized sonics with a palpable authenticity. Hailing from the streets of Long Beach, CA, $tupid Young is a 26 year-old half-Cambodian, half-Vietnamese, Asian Boyz representative (an offshoot of the Crips) who has quickly become a staple in the genre, collaborating with the likes of Mozzy, Lil Durk, and P-Lo, all of whom are considered peers. He released his breakthrough project True Story in 2018. By the age of 16, Otown Marco had cultivated a tangible following in his city. Known for fusing vibrant lyricism with off kilter flows, South Florida’s Otown Marco invites the listener to live vicariously through his pensive words as he unabashedly discusses varied topics. Having built his foundation as part of the ahead-of-its-time Raider Klan, alongside Spaceghostpurrp, Denzel Curry, and Xavier Wulf, Yung Simmie’s output has remained unwavering, as he dropped tape-after-tape and song-after-song leading to 2017′s Big Smokey project, which marked his last release as part of Raider Klan. Simmie spent the majority of 2018 releasing well-received singles and freestyles. Hailing from Greensboro, NC, J.K. The Reaper’s alternative mode of thinking not only creates refreshing concepts, but it bleeds into his stripped-down 808s-heavy music to form a style that doesn’t submit to simpler measures. 2018 was a transformative year for Indianapolis’ Drayco McCoy. Having released two EPs and three mixtapes, the “Bimmer” artist is making a strong case for being one of his generation’s more impassioned artists. Spending countless hours in Atlanta studios, Raw J absorbs his city’s assiduous ethos by dedicating himself completely to his craft. Frequently documenting his time in the lab on social media, Raw J is grinding to ensure his ascent out of Atlanta’s pockets and onto hip-hop’s mantle. An exciting Atlanta prospect, 30 Luciano is a burgeoning artist keen on widening the gap between him and his stiff competition by employing a hybrid rapping-singing aesthetic. Finding as much comfort behind an auto-tuned veil as he does with his raw vocals, 30 Luciano effortlessly glides across diverse instrumentals with captivating melodies. Self-described as literally living in the studio, 20 year-old Trapo began recording and mixing his music from his bedroom in the fifth grade. His 2015 debut mixtape, The Black Beverly Hills, garnered ‘best new artist’ designations from Pigeons & Planes and BBC Radio 1, and his follow-up EP spawned the hit single “Chicago,” which rose to No. 2 on Spotify’s Global Viral Tracks chart. He had become a rare member of Pigeons and Planes’ 20 Under 20 list for three consecutive years in a row, and rounded out 2018 with a highly-regarded EP, Oil Change. Inspiration isn’t discriminating–when it strikes, it strikes. For Tampa, FL rapper Big Baby Scumbag, that inspiration frequently materializes as movie references: songs like “Major Payne,” “Austin Powers,” “Black Joe Dirt,” and “Robocop” litter his Spotify most-popular songs. Throughout these tracks, Big Baby Scumbag employs an irreverent style that’s brought to life with his uptempo vocals. lineman; he loves watching Scrubs, Naruto, and Game of Thrones; he can frequently be seen wearing enough blue to blend in with the Pacific Ocean that borders his Compton hometown. YG, AD is truly a West Coast rapper’s rapper. As a 19 year-old who has quickly taken over Texas’ underground scene, Cap Gold has all of the makings of a prolific artist, and that’s clearly showcased in the video his single “HighClass Fever.” Shot on location by Justin Perez, Cap finesses in the visual just as he does on the menacing track itself, rapping through his gold grills until the local police force arrives. This is just a sample of what’s to come from Cap Gold in the near future. The self-proclaimed “Soul God,” Big Cheeko raps across diverse soundscapes composed of soulful instrumentals and layered hard-hitting drums. While he might call Atlanta home, the SoulGod, Vol. 2 artist stands defiantly in contrast to his city’s ubiquitous trap beats to offer a unique brand of hip-hop. Beloved member of The Sauce Factory, led by Sauce Walka, Houston’s Rizzoo Rizzoo swagger exists through his dense catalogue. Architecting his sound with the help of his confidence and lyrical flair, Rizzoo Rizzoo has emerged as one of Houston’s premier artists, and one to keep an eye on. Known for her “Muah!” catchphrase, Bali Baby bases herself out of Atlanta (although originally hailing from Jacksonville, North Carolina) and represents the PlayGirl Gang. After dropping a myriad of mixtapes in 2017, Bali caught fire with her collaboration alongside Trippie Redd, ”Woah Woah Woah,” which became a viral hit. Bali continued her impressive outing into 2018 when she released major singles including “AMBER Alert” and “Miley Cyrus,” as well as the Bali Blanco EP, the Baylor Swift project and Resurrection. Born and raised in Chicago, attending college in Memphis and now living in Atlanta, Canon has built his brand through the popular Loose Canon mixtape series, with all three projects charting on Billboard’s Top Rap Albums list. As a member of Reflection Music Group, Canon has toured the country with Derek Minor and before that, learned the ropes of the game as Lecrae’s hypeman. Canon has become one of the most significant artists in his sub-genre of hip-hop and his December 2018 album, Home, was another monumental success in his music career. Just as his name suggests, Jimmy Rocket is an explosive artist who uses dizzyingly-fast rhyme schemes. A proud member of Apollo Music Group, Jimmy is a College Park, GA native whose style has attracted features from marquee artists like Waka Flocka Flame and Lil Keed. TheGoodPerry has produced numerous songs for Lil Yachty including the platinum hit “One Night” (2016). Casual fans of Yachty will recognize him from his standout feature on the track “Wanna Be Us” from Yachty’s breakthrough project Lil Boat, “Such Ease” from Summer Songs 2, and “Running with the Ghost” from Teenage Emotions. As he moved from behind the boards and began transitioning into a front-running artist from the South in 2018, TheGoodPerry’s unique sound was noticed by the legendary Rick Rubin, who immediately signed the 22 year-old to American Songs. He is set to release his debut project this year. WAV, who spent his formative years in Houston before dropping out of college, touring with Skizzy Mars, and moving to New York, had a wildly successful 2018, seeing the release of his viral hits “Jetski” and “On The Spot,” each garnering acclaim from fans and critic alike. DXDDY MXCK has cultivated a cult-like following, helping him achieve multiple six-figure-streamed Spotify tracks. Hailing from North Miami Beach, FL, DXDDY MXCK has a SoundCloud page that can go toe-to-toe with the game’s hardest working individuals. He’s the product of what transpires when the right work ethic meets the right talent. Known for hard-hitting raps that predominantly surround his street-informed adolescence, Mo Dope constantly has hit foot on the gas when he’s in the booth. Unafraid of stylistic experimentation, Mo Dope switches gracefully between flows and cadences throughout his catalogue. One of Atlanta’s most promising secrets, Louis DeVoughn is intent on using his 2019 campaign to rise the ranks in the dense Georgia scene. Get ready to hear more about DeVoughn in the coming months. Ohio might not be the most prolific hip-hop area, but don’t tell that to Lamb$–this Cincinnati product is helping put his state on the map. Having already collaborated with focal talent like Lil Uzi Vert, Playboi Carti, Shy Glizzy, and KEY! on his 2017 project, Wake the Fukk UP, Lamb$ has proven his ability to attract and compete with perennial talent. Scoob might be from Georgia, but his adaptable flow can’t quite be regionally placed: at times, he sounds like E-40’s son; other times, he sounds like he grew up with NBA YoungBoy in Baton Rouge, LA. Regardless of how the lyrics flow, Scoob’s ability to shapeshift his vocal patterns is impressive. Son of the late, iconic hip-hop figure, Combat Jack, IDKHIM is doing his father’s legacy justice. With only one project out under his belt, the 2018-released WHO CARES? WHO CARES., the Brooklynite displays a natural musical aptitude, finding him playing with various melodies that entertain diverse subject matter. Whether he’s talking about a “by any means necessary” mentality to increase his ends, or delivering profound lines about his self-perception, IDKHIM has preternatural musical talent. Victoria J might only be 20-years-old, but you wouldn’t guess that by looking at her résumé. In addition to her music career, Victoria J also excels as a model, stylist, editor, and graphic designer. With such a natural artistic eye, it only makes sense that Victoria J spreads her talent across multiple disciplines. Fresh-off his Worldstar-premiered “Trauma Freestyle” video, Dre Nello is garnering attention from some of the industry’s most discerning tastemakers. Receiving unanimous adulation from the YouTube community, Dre seems prepared to breakout this year. A nine-member collective–or cult, as they describe themselves–PNTHN (pronounced “pantheon”) is an eccentric group keen on playing disruptor in the modern hip-hop landscape. Comprised of Twohorizonra, YD, Romby, Otto, Dc4prez, Pink Ranger, Tony Tone, Kenny Casanova, and Por Vida, the San Marcos, TX cult is a one-stop musical shop, responsible for everything from rapping to production to engineering. This DIY mentality entrenches the group in a raw, authentic shell, auspiciously recruiting their idiosyncrasies to foster distinct music. Raised in the DMV before moving to Orlando, Deraj is a musical melting pot who is challenging the status quo. Finding as much influence from trap as he does alternative hip-hop, no two Deraj songs sonically dovetail, yet all retain his recognizable identity. 22 year-old Nate Dae is a rapper-singer hybrid who is forging a successful path by creating his own opportunities–mainly through establishing his own label, Off the Porch Records. To date, he’s released projects California Psa (2017) and Death by a Woman (2018) through Off the Porch. Frequently working with producer SuecoTheChild, Lamont Holt has spent his career identifying and perfecting his sound–one that can’t be classified singularly. Throughout his growing musical library, Holt finds as much comfort purveying ominous flows as he does hauntingly beautiful singing. Just like the long list of his Inglewood predecessors, Lamont Holt is carving-out an artistic pocket through resolve and vision. Clever lyrics, a rambunctious attitude, and dynamic flow schemes are brought to a head with Atlanta’s ISSY CARTEL. The burgeoning artist’s online presence is growing daily, thanks to tracks like “PRIVATE LOCATION” and “LONESTAR”. In the dawn of modern hip-hop, one that celebrates individuality, the artistic floodgates have been ripped open, creating a demand for musical experimentation. Injecting himself into this space, Atlanta’s Swnky is seamlessly bridging differing styles to produce refreshing music. Now that he’s graduated from DePaul University, Chicago’s Femdot can finally focus on his passion: making music. The 22-year-old artist has spent the past decade honing his musical identity, resulting in a polished sound that has attracted co-signs from esteemed outlets like XXL, Billboard, and the hometown Fake Shore Drive. Singer-songwriter Tommy Swisher has been on his musical pursuit since the ripe age of 10. Upon relocating from East St. Louis to Atlanta when he was 14, Swisher shedded his pedestrian persona in favor of his musical moniker and hasn’t looked back since. Now 23-years-old, Tommy has gone on to collaborate with respected artists, like B.o.B., Quentin Miller, and Sonny Digital. As a close affiliate of Trippie Redd, Chris King initially made waves with his appearance on the 2017 cut “Love Scars Pt. 2 / Rack City” from Trippie’s breakthrough A Love Letter to You project. Since this appearance, Chris’ profile continued to grow and he branched out to work with artists including Ty Dolla $ign, YG, Mozzy and Jag, while still frequently collaborating with Trippie, who he is currently on tour with. Coming off his strong August 2018 album release, Outside Looking In, Sacramento’s Oke Junior is ready to snowball that momentum into this year. A product of the Bay Area scene, Oke Junior is a breath of fresh air who imparts wavy vibes. With a calm yet confident demeanor, Oke is ready for the big stage. Using experimental production to lay the foundation for his lucid raps, Kenny Mason isn’t only here to further his own career–he’s here to push boundaries. At only 23-years-old, Kenny is a genuine student of the game who fell in love with the rap writing process 10-years-ago by studying the greats like Lil Wayne and Kanye. Now, he’s ready to make them proud. A three-man Atlanta collective, Larry League began turning heads in 2014 with impressive tracks, dedication, and quirky attitude. Larry League just released their latest project, SuperBad, in early February, featuring guest verses from Yung Bans, Thouxanbanfauni, and Trinidad James. An introspective artist, Chi Tashi’s philosophical mindset extends to the pen and paper. The 29-year-old Tashi places a premium on lyrical profoundness while still managing to impart commercial appeal. The Lowell, MA native offers relatable narratives that require repeated listens. Collaborating with everyone from the dearly-departed Lil Peep to Ski Mask The Slump God, Cleveland’s 23-year-old CHXPO has become a commodity, garnering respect from peers and fans alike. Currently enjoying over 247k monthly Spotify listeners, CHXPO has achieved this status through his unapologetic, menacing songs. With his baritone-like voice, Yungsta pairs perfectly with a barrage of trap instrumentals. Not one to rely on one facet of his game, the Atlanta artist and Cash Set representative supplements his innate vocal abilities with clever metaphors and lyrics, giving him with a well-rounded presence. With an unmistakable, guttural flow, Buffalo’s Bill $aber has successfully paved his own lane by blending trap, traditional hip-hop, emo rap, and a quasi-metal aesthetic to create an ominous persona. Facilitated by his deep voice, Bill $aber’s music is adamantly unique; its effects are equal parts enticing, raucous, and stimulating. Already with one seven-figure-streamed Spotify song under his belt (“GOSHA”), the Floridian rapper $NOT is making a strong case for why he deserves to be one of this year’s most studied talents. $NOT creates a dark soundscape by pairing his spoken-word-esque flow with morose instrumentals. Atlanta’s Duce Mino is an exciting artist who deploys an authoritative flow over classic trap instrumentals. Duce Mino is eager to manifest his musical dreams. Fellow Atlanta artist Traphouse Coach is, as his name suggests, a proud supplier of trap music. Enlisting a minimalist style, Traphouse is well-accustomed with the old adage “less is more”. Also known as Z6$AINT (ZONE 6 $AINT), the rising Atlanta artist combines enticing melodics with forthright raps. $aint brings an intrinsic level of skill to the game. Keep an ear out for the Basquiat’s Basement artist in 2019. Influenced by the greats–like Nas, Jay Z, and Pusha T–Woodbridge, VA’s Willi.M Blake applies this traditional rap mindset to the modern stage. Adhering to the idea that art imitates life, Willi. M Blake’s deep lyrics reflect his adolescent struggles. He creates resonating narratives for people to seek refuge in. Having already received production from CashMoney AP on his latest track “New Life”, MacNel’s career is off to a hot start. The Atlanta artist enjoys a melodic aesthetic that fits securely in the budding trap wave. Showcasing a melodic side of trap, de Apollo is a soulful singer-rapper hybrid who creates dualistic music. Whether he’s dressing up his vocals with auto-tune or singing unencumbered, the Atlanta hyphenate consistently comes through with hits. Langston Hughes III’s roots in the South Carolina music scene and hip-hop culture as a whole run quite deep. As a group going under a different moniker, LHIII had already earned their stripes in the industry when a European vinyl distributor approached them in the 2010s to inquire about a long out-of-print album. Unbeknownst to the trio, they had a cult following overseas, and they began recording new music officially as Langston Hughes III and are now experiencing a renascence in their careers as artists. Xanprincess doesn’t care what you think–she’s here to make music on her own terms. And it’s with that self-assuredness that the young Atlanta artist is able to create fearless music that pulses with authenticity. Born in St. Louis, MO, Nesha Nycee later relocated to Atlanta–the regional seedling to her musical pursuit. What started as a cathartic exercise at nine-years-old has blossomed into a full-fledge career, culminating in winning rap competitions at only 18-years-old. 22-year-old Idaho native Enkay47 spits in a controlled frenzy that finds him condensing multiple topics into layered rhymes. The impressive lyricist, Enkay is putting on for his state and putting big numbers on the board with each release. The A3C Festival & Conference and iHipHop Distribution present the highly anticipated, next installment in their annual compilation series. A3C Volume 8 celebrates the 14th anniversary of the Festival and the eighth year that the Festival & Conference and iHipHop Distribution have collaborated to bring listeners this renowned series. The compilation series has introduced numerous artists, to fans of the genre, who have established themselves as staples in the hip-hop marketplace. Past compilation artists include G-Eazy, Curren$y, A$AP Rocky, Yung Bans, Action Bronson, Vince Staples, Kodie Shane, Buddy, Smoke DZA, Rapsody,Dave East, Freddie Gibbs, Lucki, Thouxanbanfauni, Trademark Da Skydiver, Mick Jenkins, Sir Michael Rocks, Robb Bank$, and Jimmy Wopo, among others. Next up is Miami-based artist Yung Simmie. Having built his foundation as part of the ahead-of-its-time Raider Klan, alongside Spaceghostpurrp, Denzel Curry, and Xavier Wulf, Simmie began branching out in the early 2010s to establish himself as a solo artist. Known for his steadfast delivery and ominous beat selections, Simmie quickly became a notable figure in his state’s growing underground scene. With a handful of mixtapes released under the Raider Klan umbrella, Simmie’s 2013 mixtape Basement Musik put him on the map, drawing comparisons to Three 6 Mafia’s early work. Simmie’s next projects, both part of his Shut Up and Vibe series respectively, gained him traction on Billboard’s Emerging Artist chart and he had become a collaborator of Robb Bank$, Pouya, Cashy and Denzel Curry, just to name a few. Simmie’s output remained unwavering, as he dropped tape-after-tape and song-after-song leading to 2017′s Big Smokey project, which marked his last release as part of Raider Klan. After releasing numerous well-received singles in 2018, Simmie returns with his first single of 2019, the HighAF-produced banger “Easy,” which premiered today via HipHopDX. Over a dark beat filled with a thumping bass line, Simmie flexes his lyrical ability in a nonchalant manner, indeed making it seem effortless and easy to him. The hard-hitting track will be found on A3C Volume 8, which will be available worldwide on February 22, 2019. The latest artist to join the ranks is $tupid Young. Hailing from the streets of Long Beach, CA, $tupid Young is arguably the hottest emerging artist from the West Coast in years. The 26 year-old half-Cambodian, half-Vietnamese, Asian Boyz representative (an offshoot of the Crips) has quickly become a staple in the genre, collaborating with the likes of Mozzy, Lil Durk, and P-Lo, all of whom are considered peers. On the heels of his 2018 breakthrough project True Story and a standout showcase at Rolling Loud, $tupid Young is releasing his new track and video for “Want It All.” The video, shot by Macedomedia, exemplifies Young’s hardworking attitude and the mindset that dedication to your craft comes with its rewards. The video premiered on YouTube today via No Jumper. 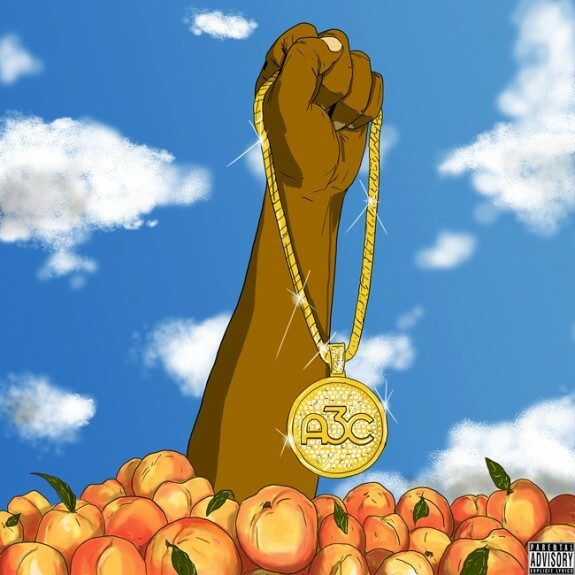 The Keanu Beats-produced anthem will be featured on the eighth annual A3C compilation album, A3C Volume 8, which will be available worldwide on February 22, 2019. The latest single from the eighth-annual A3C Festival compilation series comes from NYC-by-way-of-Houston artist WAV. WAV is quickly becoming one of the most renowned new artists in hip-hop for his infectious songwriting and melodic sensibility. WAV, who spent his formative years in Houston before dropping out of college, touring with Skizzy Mars, and moving to New York, had a wildly successful 2018, seeing the release of his viral hits “Jetski” and “On The Spot,” each garnering acclaim from fans and critic alike. His pattern of releasing consistently captivating music continues on the new single “No You Don’t,” produced by Jake Markow, with additional production by 1isaacbeats. The song is accompanied by a lit visual shot on site in Los Angeles and directed by Whalen Productions & Knvkleaded, which premiered today via Elevator. The track will appear on the eighth installment of the A3C compilation series, A3C Volume 8, available worldwide via A3C / iHipHop Distribution.